Fundraising is one of the pillars of Rotary life and, come rain or shine, you will often see our volunteers in their high-vis vests doing exactly that. 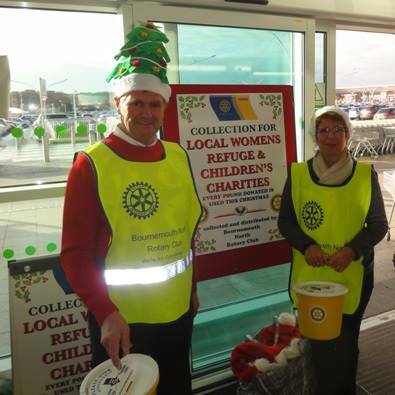 During early December members made two collections outside supermarkets in the Bournemouth area raising money for those less fortunate than ourselves. Whilst we raise money for a number of good causes, our efforts this winter went to two organisations, one of which is a refuge for those suffering from domestic violence. A sizeable proportion of the £1400 will go towards helping these individuals rebuild their lives in the most heartbreaking of circumstances. At a time of year when love and the giving spirit is at the forefront of our minds, it is indeed a tragedy that there are those who have had to flee their home through fear of violence. One in four women will suffer from domestic violence at some point in their lives according to national averages and accounts for 11.5% of all crime in Dorset. This means over 40,000 people will suffer from domestic violence at some point in our county. Needless to say more needs to be done to protect victims and prevent these crimes from occurring altogether. 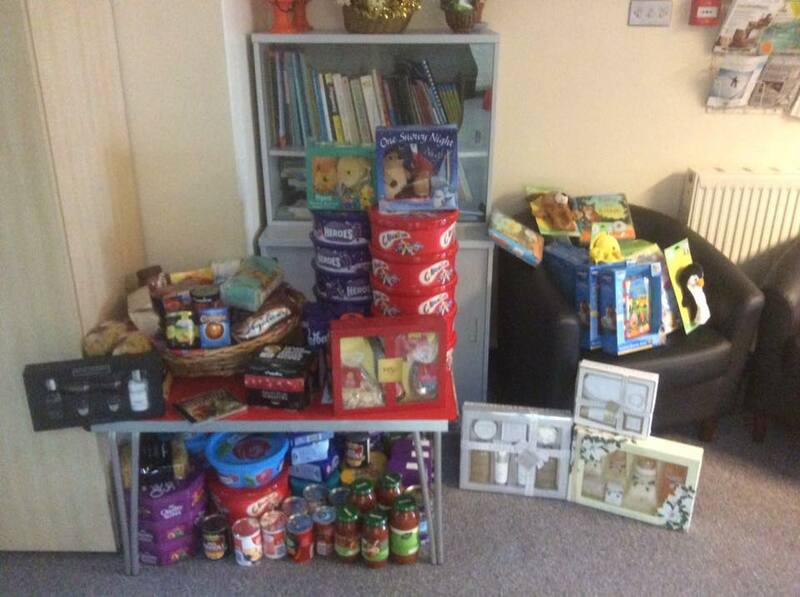 But for now, we hope that our small contribution will make a difference to those going through such a difficult time. In addition to the money raised from the generous customers of ASDA, Castlepoint and CO-OP, Bear Cross, we have donated children’s gifts, food, sweets and biscuits to go into Home Start hampers. Based in Kinson, Home Start will use these items to help 20 homeless young people in the area. Across the UK, approximately 80,000 young people are homeless. The reasons for this vary from family breakdown, overcrowding at home, bullying, abuse or domestic violence. Young people experiencing homelessness are more likely to suffer long term problems due to disruption to their education and therefore are less likely to find gainful employment. This is in addition to the physical and mental health issues that can arise from prolonged periods of homelessness. They are also more likely to be assaulted as they are perceived to be more vulnerable. If you would like to support us in our fundraising efforts, know of an organisation that could benefit from our help or you are interested in becoming a member, click here. One of the things that makes Rotary such a worthwhile and rewarding thing to be a part of is the community and camaraderie it fosters. This is never more true than at our Club Christmas Party. It is an opportunity for members and their partners to reflect on a year’s achievements, celebrate successes and enjoy one another’s company. It is, without question one of the highlights of our year. 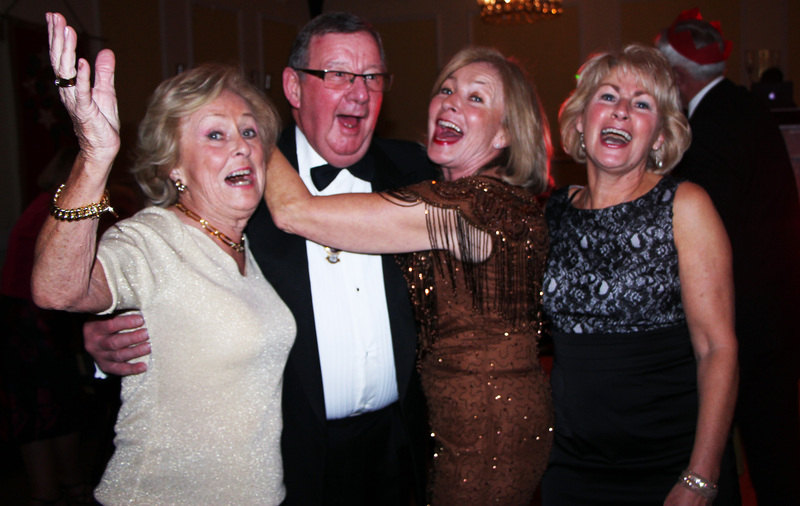 Seventy-Three Rotarians, partners and guests attended this year’s event held at the wonderful Marsham Court Hotel. With views of the Bournemouth seafront lit up for winter making the perfect backdrop for the festivities. A traditional Christmas dinner was served with an array of desert and wines. 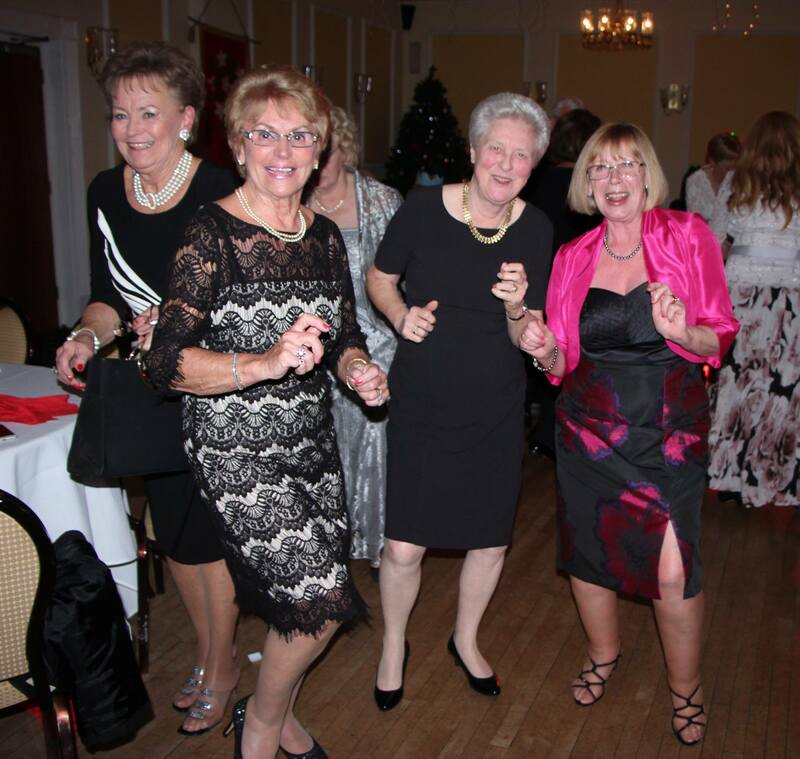 An evening of dancing and entertainment provided by System Sounds Disco kept the celebrations going late into the night with most of our members taking a turn on the dance floor. As 2017 dawns we’re left feeling immensely grateful of the bonds we share not just as a club but as part of the Bournemouth community. If you are interested in learning more about what Rotary Club does in your local community or if you would like to become a member, click here.